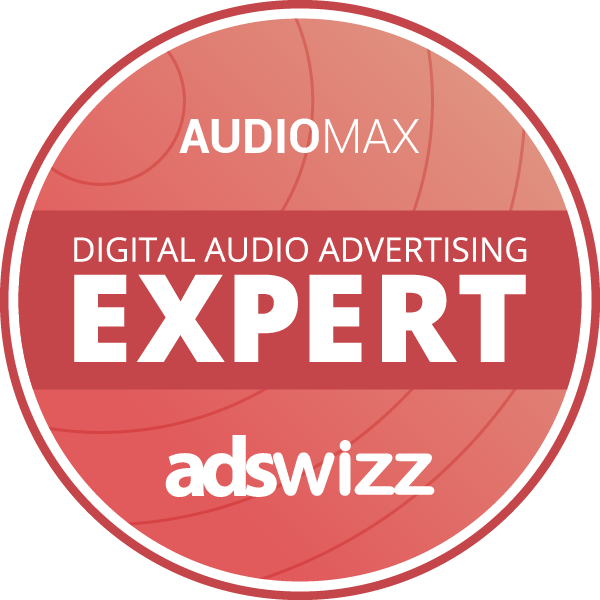 The AUDIOMAX Digital Audio Advertising Expert certification is a unique and first of its kind accreditation for Publishers. It is currently granted to advanced users of AdsWizz’s audio-centric Supply Side Platform (SSP) – AUDIOMAX. This certification requires in-depth knowledge of applying holistic yield optimization across publishers' internal direct sales, networks, and programmatic buying while skillfully managing external audio demand. Acquire real-world experience with the AudioMax platform.